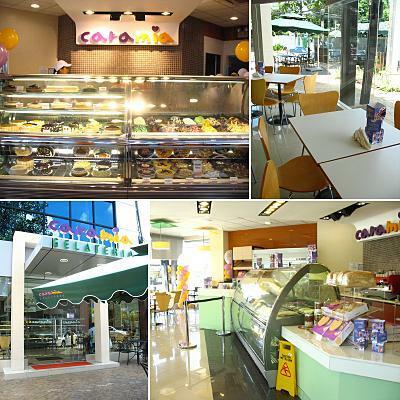 In the midst of bleak weather, gray skies and pitter-patter of rain, Cara Mia Gelateria stands out bright and sunny at its litte corner in Greenhills. While the current temperatures dictate us to dress in layers to prepare for colder weather, this gelateria, while giving us frozen desserts, will keep everyone's smile warm with their sweet offerings. 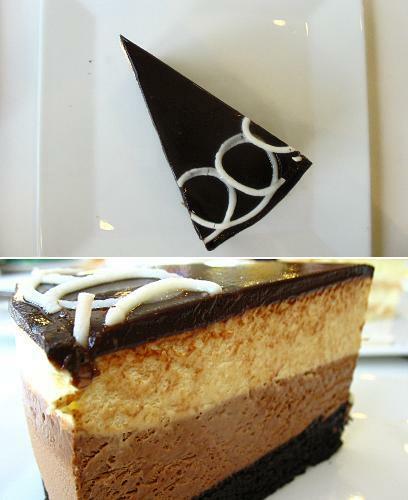 From the famous Amici chain of restaurants comes a sweeter offering: Cara Mia. 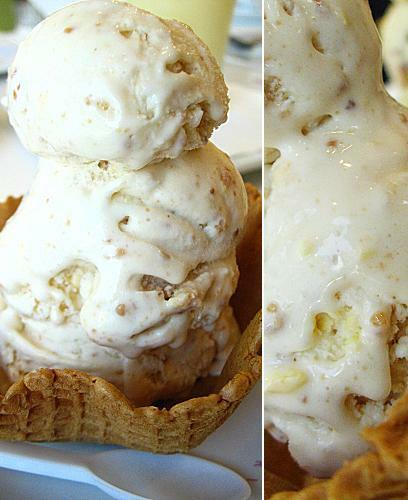 Have a dessert experience with their different varieties of gelato that would make you love to chill. Danny Moran tells us more about this gelateria. "There are many differences between ice cream and gelato, but the main thing is, gelato is better," Danny Moran shares. Being a gelato fan myself, I believe in his words. 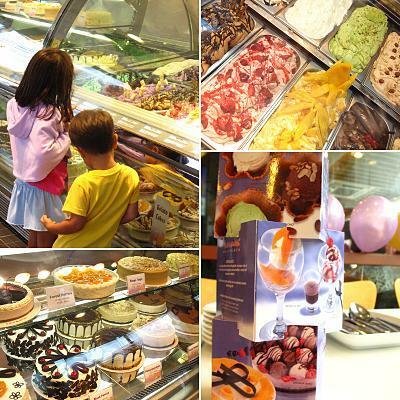 Amici has been serving us gelato through the years, and has recently expanded its line to blossom into a separate area in the Greenhills branch, making it the coolest corner to chill and end one's hearty Amici meal on a sweeter note. 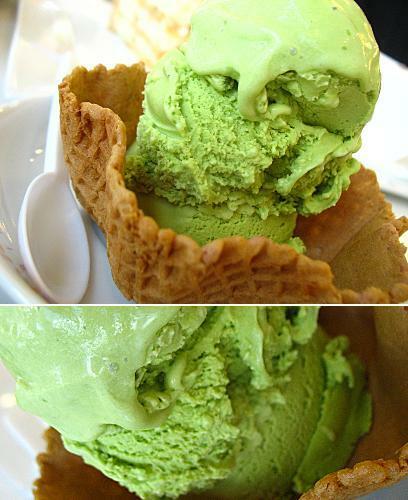 For the classic take on gelato, my no-fail favorite is the Pistachio (P55 - scoop, P550 - tub). Well, any dessert with pistachio is always a thumbs up for me. I do however also like the more adventurous Mango Jubilee (P50 - scoop, P450 - tub), which wonderfully incorporates pieces of blueberry, mango and strawberry into the mango gelato. If you can try to imagine the classic sans rival cake turned into a frozen treat, Cara Mia's Sans Rival (P50 - scoop, P450 - tub) turns it into reality. It retains the nutty and sweet notes of the cake, and each spoonful melting into your mouth is a delight. Now, onto the other gelato offerings. 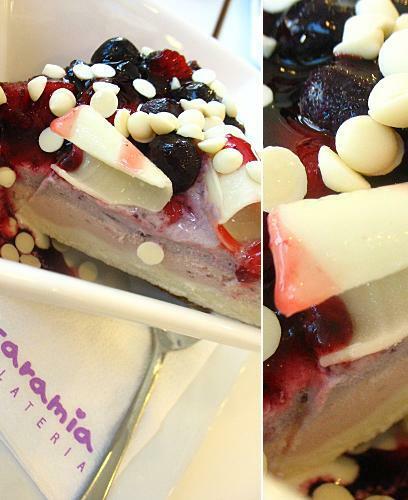 Cara Mia offers Gelato Cakes, and a personal favorite is the Merry Berries (P690 - whole, P85 - slice). It is a marriage of blueberry and strawberry flavors in a gelato cake. The cake is also crusted with graham cracker, and topped with berries and white chocolate bits. They also offer Affogato, which is an Italian dessert made up of gelato laid on a bed of ladyfingers, and served with a shot of espresso. I got to try the Nocciola Blend (P100), since I like hazelnut. 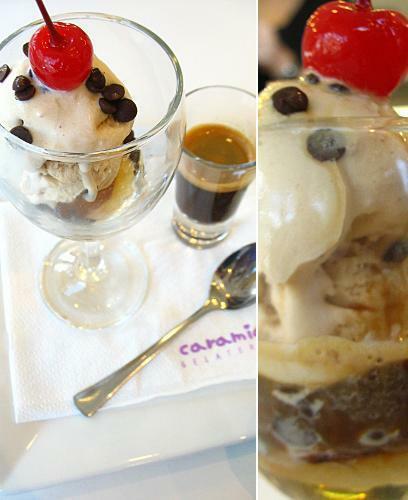 In eating the affogato, you must pour the coffee into the glass with gelato, and mix it around with your spoon. On my first spoonful of the affogato, I am reminded of the flavors of tiramisu -- like a combination of the spongy and moist dessert and a cup of coffee. The dual temperature plays different tunes in one's palate, making the Afogato a colorful experience. 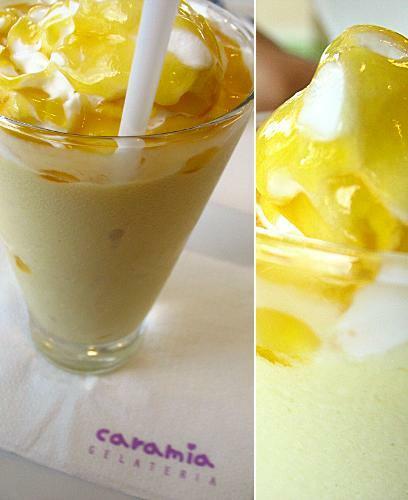 They also have this Pine-Mango Gelato Shake (P130) that I love. It's super thick that I wish I was given a bigger straw, but the tropical flavors are surprisingly light on the palate. I can imagine holding a tall glass of this shake while walking barefoot on the beach. Since gelato flavors pack in a punch, you may want to tone it down a notch with a lighter cake. 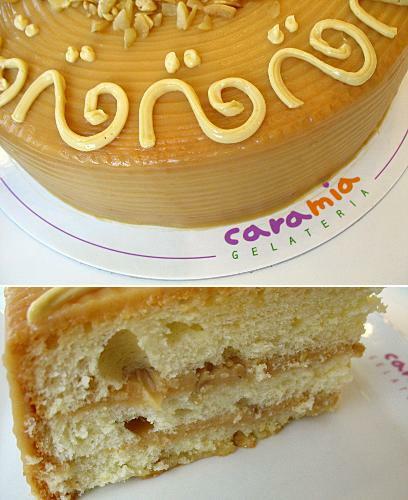 The Caramella Premia (P450 - whole, P55 - slice)is a fluffy chiffon cake dotted with cashew nuts, and a slice reveals thin layers of caramel in between its fluffy body. I, however, can't get enough sweetness and favor the Twin Chocolate Mousse (P720 - whole, P80 - slice), which is very moist and compact and cool, straight out of the fridge. The white and milk chocolate mousse combination will please the chocoholic in you, and a tease of Irish cream liquor makes the cake a pleasant experience. The past couple of days have been a guessing game of sorts when it comes to the weather - call it schizophrenic: hot and humid one day, windy and stormy the next. 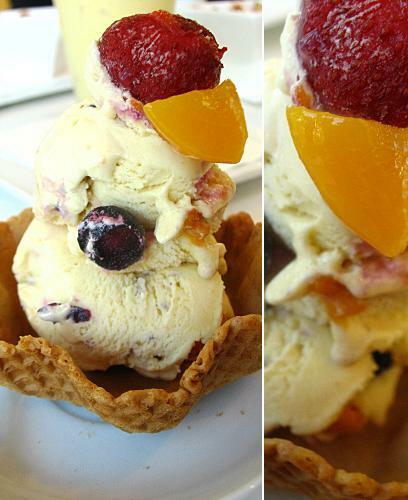 Whatever the day's condition may be, chilling out at Amici's lovely gelateria can outshine weather forecasts any time.